If you are looking for a great price on quality BEAD N STRETCH beads, findings, and jewelry making, don't look any further! We currently stock 2 BEAD N STRETCH beads, findings, and jewelry making and add more items every day. Along with our large quantity of in-stock online retail products, we offer the best price for our quality, brand-name products, with a price match guarantee. 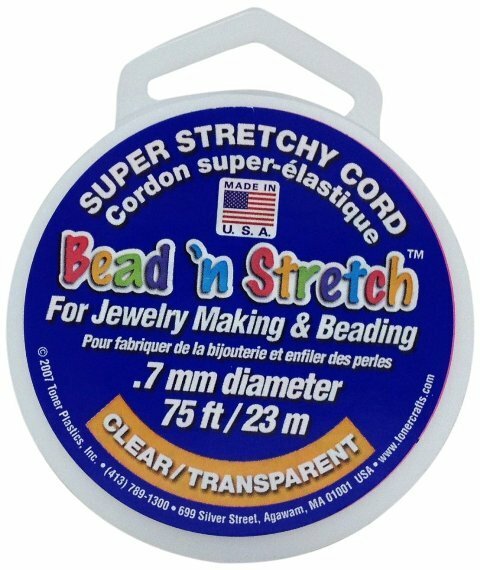 BEAD N STRETCH beads, findings, and jewelry making even start as low as $80.54. Most importantly, our vision includes hands-on customer service making sure each and every customer is treated royally -- completely taken care of to his or her satisfaction. Shopping for a gift and can't decide what to buy? No problem! We offer gift cards so you can shop hassle-free and always get the perfect gift. Shop Unbeatablesale.com with confidence today!